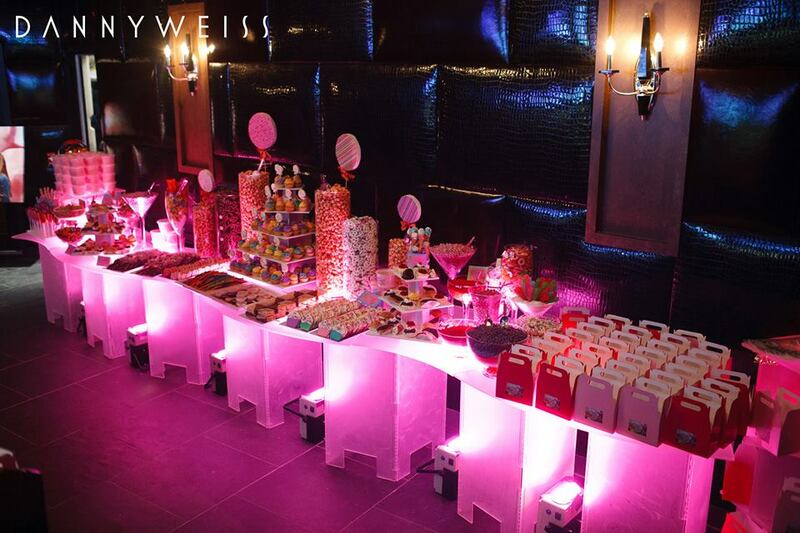 Try something extraordinary for your next event. 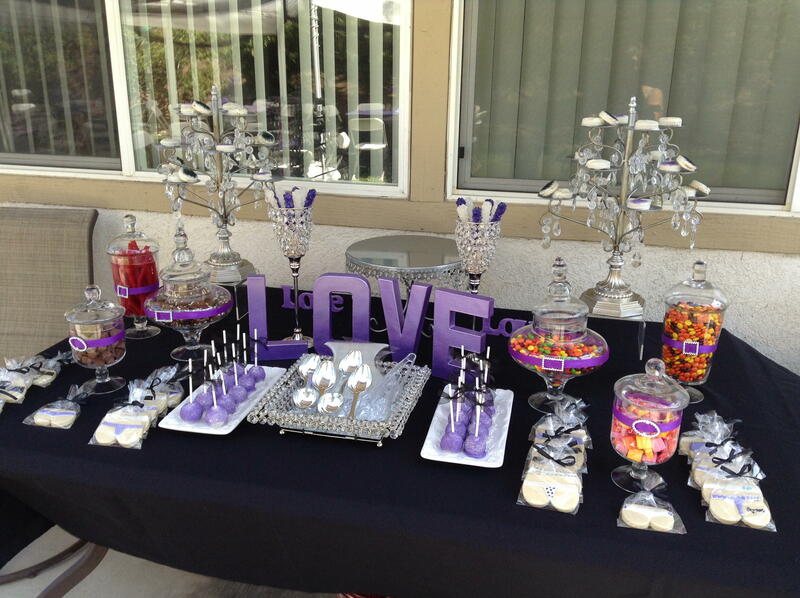 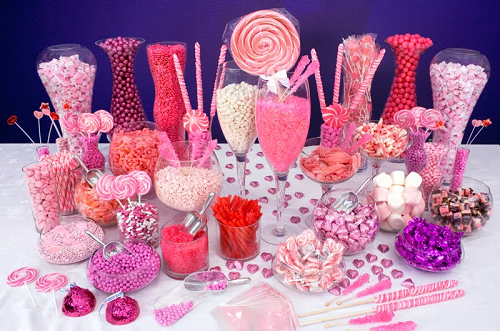 A candy buffet display table is the best way to modernize your party and set your events apart from the rest. 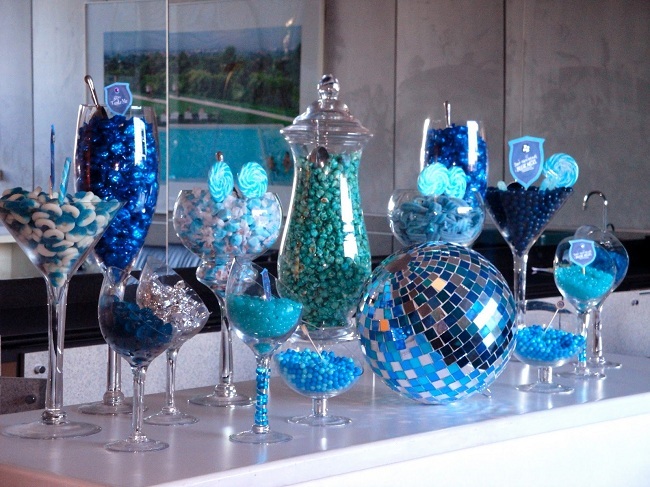 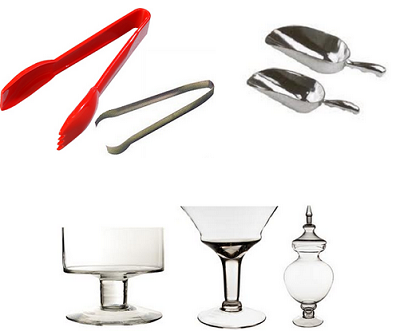 It will definitely create a buzz amongst your guests that will keep them talking long after the party is over. 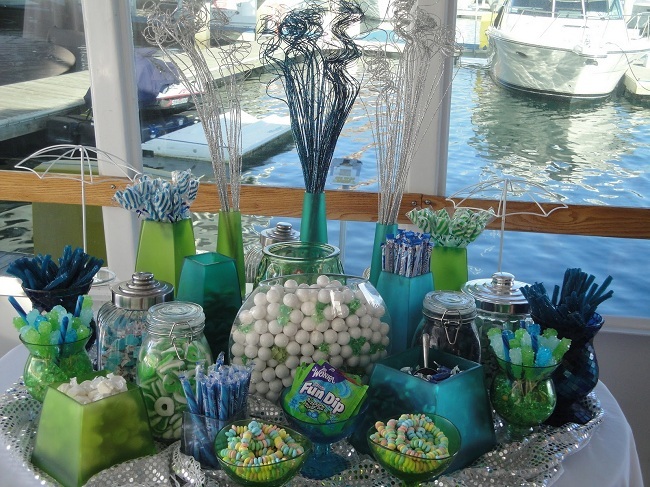 Don’t be surprised if they want to steal your candy buffet idea for their own event in the future! 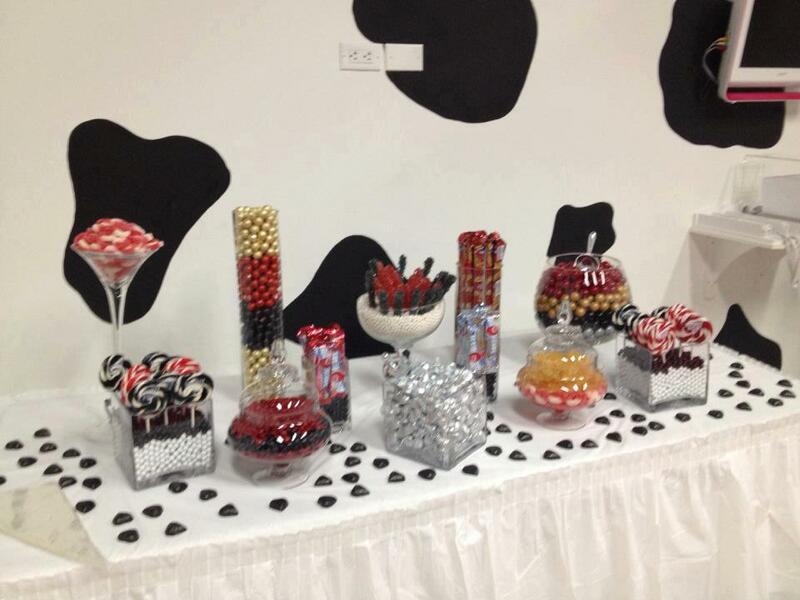 Need some candy buffet ideas? 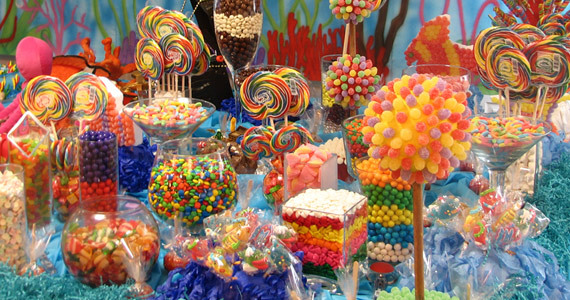 Try several types of orange, black, purple and green candies for your next Halloween costume party. 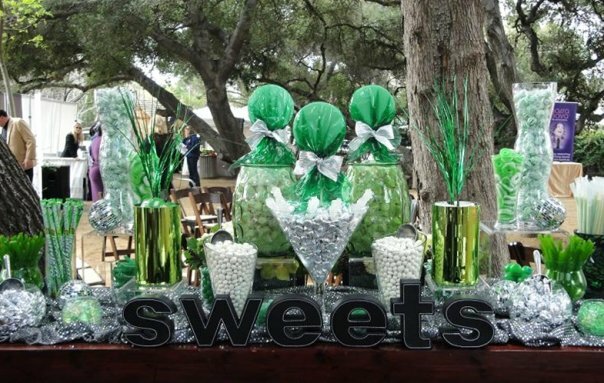 Or choose some soft pastels to layer over some metallic silver or gold in large glass containers for an elegant feel to your wedding reception candy buffet. 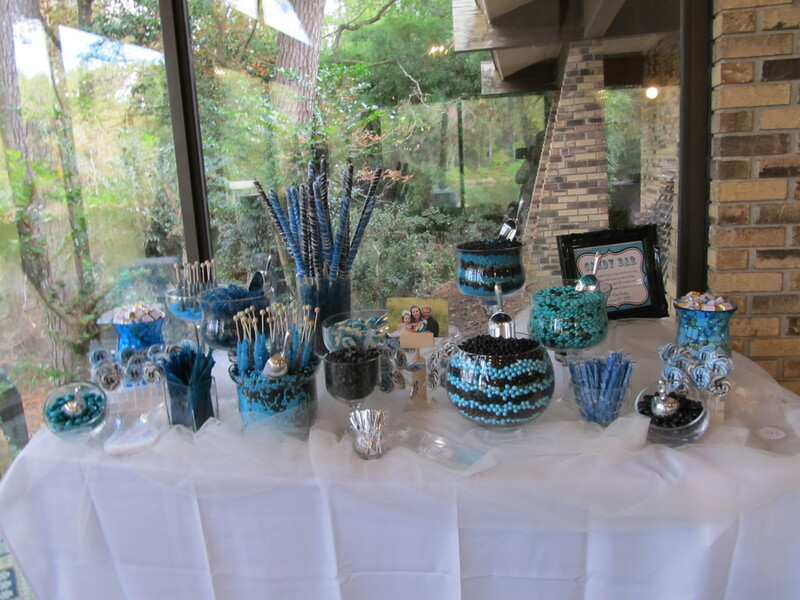 You can also use our candy for wedding favors. 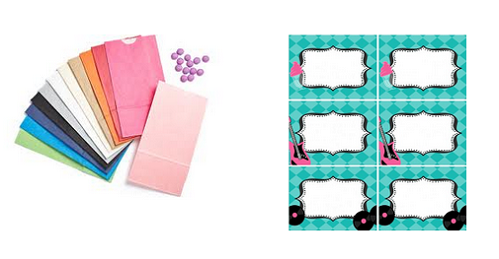 They make the sweetest little gift for your guests to go home with. 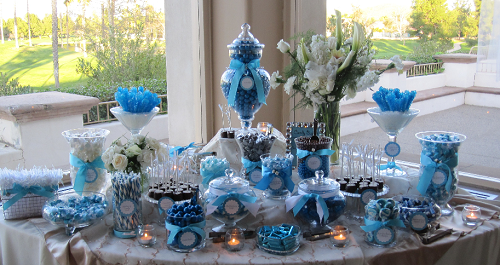 Whether you set your candies out for guests to help themselves or package your candy as wedding favors, you can bet your candies will surely be a crowd pleaser. 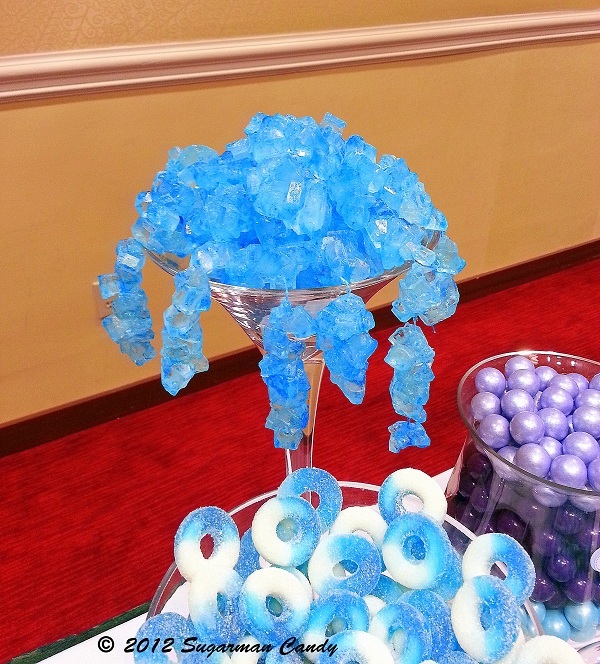 With Sugarman Candy items at your next event, you can’t go wrong! 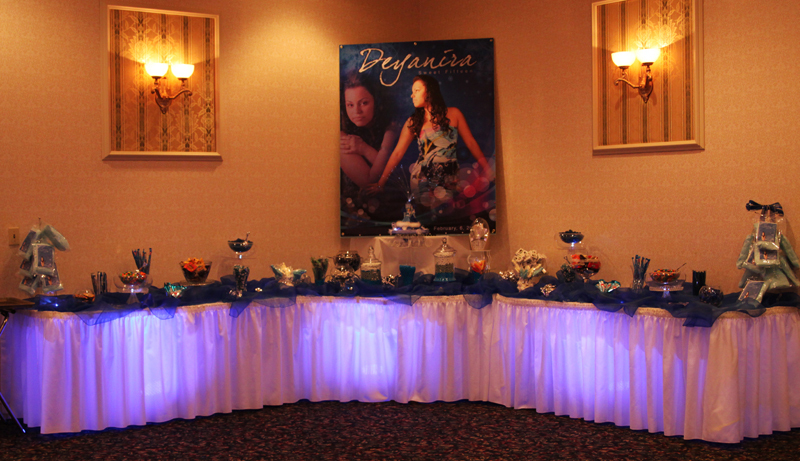 We've seen large Quince Candy Buffets, But this is Amazing! 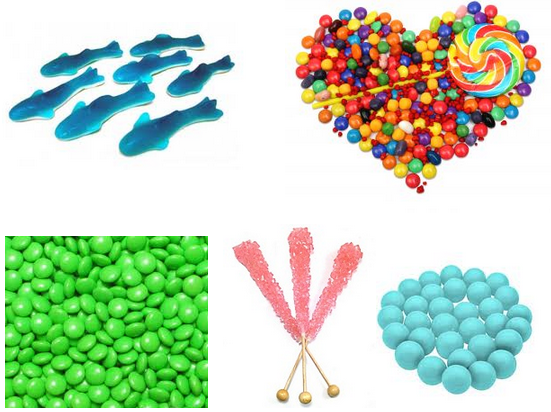 Solid Colored Candy in Stock!! 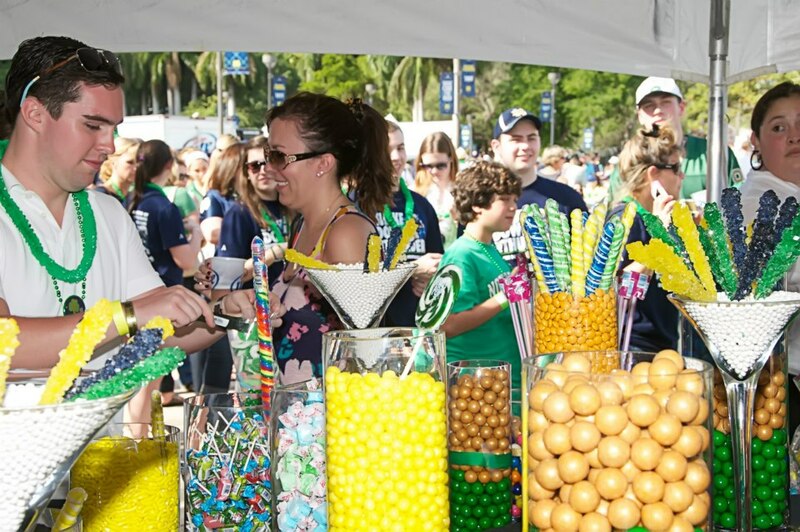 Order Online or come in to a South Florida Location!